U.S. Senator Bernie Sanders of Vermont garnered controversy over his questioning of Trump appointee Russ Vought's Christian beliefs. At issue was a column Vought wrote defending Wheaton College's decision to punish professor Larycia Hawkins for taking the public stance that Christians and Muslims worship the same God, which contradicts the evangelical school's official position. 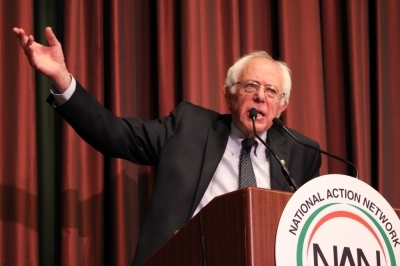 After an exchange based on Vought's comments that Muslims "stand condemned" for not believing in Jesus, Sanders declared that he would vote no on Vought's appointment. Here are five reactions to Sanders' comments. They come from both liberal and conservative perspectives and are largely critical of the former Democratic presidential hopeful's statements.